Priced to allow you to upgrade as you wish. Give me a little TLC and I'll give you some equity. 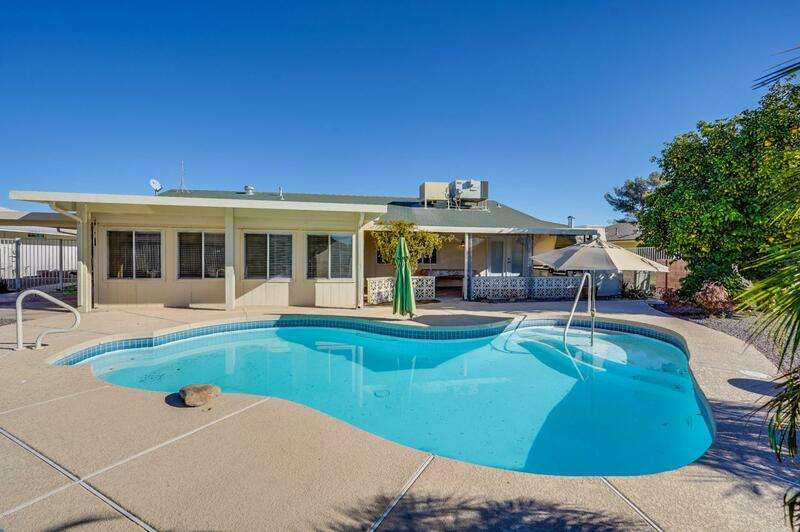 Relax and enjoy retirement in the heart of Sun City! This conveniently located home is located in a quiet neighborhood near shopping, restaurants and rec center. 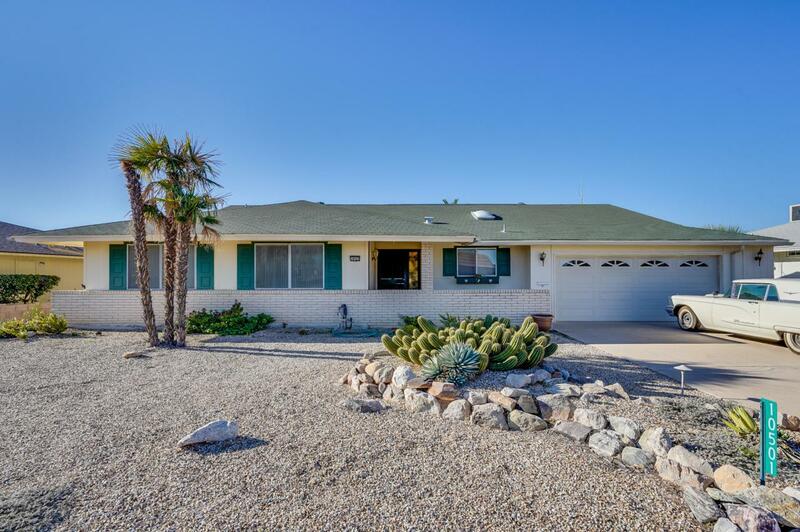 Well laid out square footage: features 3 bedrooms, a bonus area, 2 car garage, great lot with a pool. 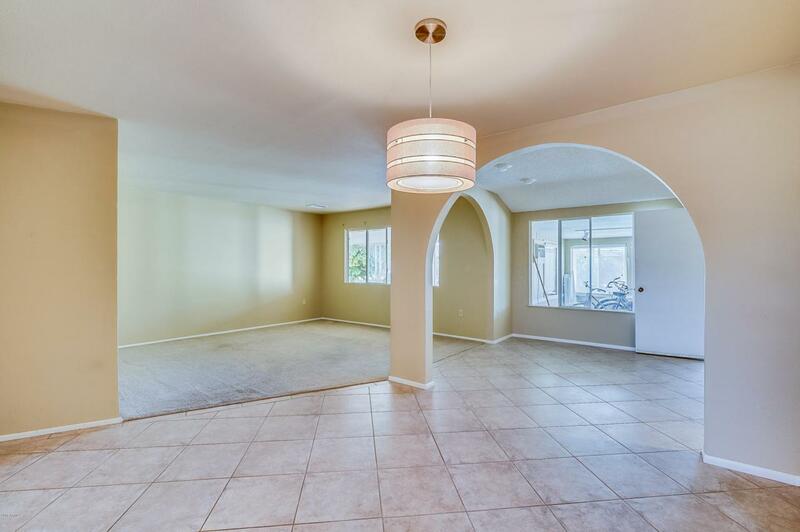 Newer paint, newer carpeting, diagonal tile. A nice kitchen with updated cabinets featuring a southwest flair and RO system. 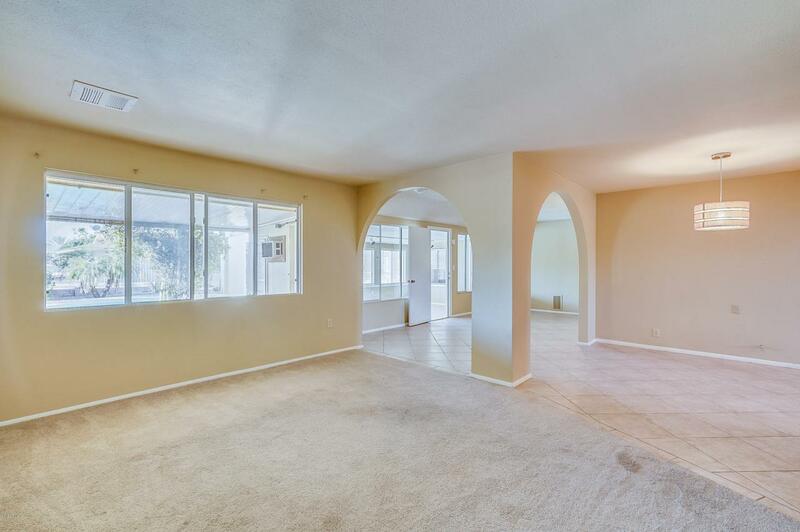 Master bedroom features separate exit to backyard. Extended patio area with freshly surfaced pool and outdoor kitchen area.